Happy Birthday! Enjoy the ride! 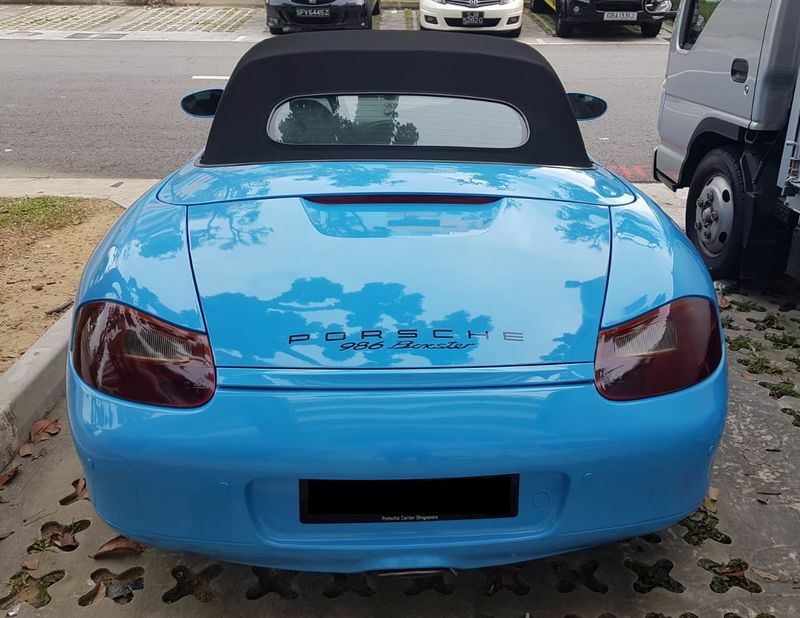 What blue color is this and where do you get it? Nice example! I too own a 97, but it's a 5 speed. I'm guessing you paid a wad of money for that "antique" car in Singapore. I lived there for a while when I was a kid and I am still jaw-dropped by how much the government drives up the price of an automobile there. I'll be coming to Singapore for my 60th birthday in a few years and if you still have your car I'd love to meet you and see it! It's Etna Blue. Actual colour is lighter than the pics, probably due to the lighting. Last edited by JamesQ; 01-17-2019 at 04:01 PM. Sadly this USD38K cert only extends my ownership for another 10 years. Come to the end of this current 10years, I will need to renew again at the prevailing rate if I decided to keep the car. Ladies and gentlemen... this is Singapore! love that color! is it painted or vinyl wrap, and if paint - is it the original color?